For traders who were paying attention, the weekly COT (Commitments of Traders) reports from the CFTC (U.S. Commodity Futures Trading Commission) have recently been screaming out a warning…crude oil bear market ahead. What the COT reports were showing was wildly bullish investor sentiment matched with equally extreme hedging activity as investors piled into the WTI crude oil futures contract. While bullish sentiment peaked as of the 10 February report, as recently as the beginning of March, hedge funds and other large speculative (that is non-commercial) players held near-record net long positions in WTI crude oil futures. Commercials are industry players who are largely hedgers and are usually considered smart money. In fact, total net long positions were just over 525,000 contracts for the week ended February 28, 2017, as concurrently the U.S. rig count had increased to 609 and inventories had risen for an eighth week in a row to over 520 million barrels. The COT reports are complicated enough to make out even in short-form format (see Release Schedule), but the industry-focused media, including oilprice.com; usually publishes the key aggregated results for each major commodity, including WTI, on Saturday each week. What was the root cause of the record bullish positioning by so-called smart money players? We may never know precisely. It could have been that the big funds really did believe in the efficacy of the OPEC crude oil production deal and its potential extension into 2017. Alternatively, the funds may have thought that Trump-induced global growth would really put a bid under demand for crude. 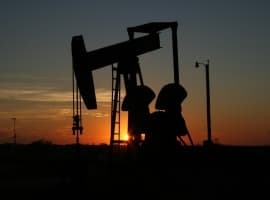 Or maybe the funds’ algorithms had been in sleep mode as the price of crude hadn’t really budged since the Trump election, stuck in a range of less than 6 percent between say US$51-54. Liquidation, however, began in earnest with the crude oil crash of last week, as net bullish contracts declined by almost 17,000 to 509,000 contracts for a 3.2 percent drop on a weekly basis as of the Friday 10 March reporting date. More liquidation is presumably on the way. The big question is why the speculative COT position remained above levels last seen in 2014 when the crude price was almost double where it was pre the March crash? Secondly, the relative ease of finding a counterparty to fund bullishness. As was widely expected in the aftermath of the December OPEC cuts, higher crude prices encouraged producers to hedge their production forward, and in doing so hedge funds and other speculators were happy to take the other side of their trades. In addition, while the oil price has been fairly flat, oil equities have been underperforming. So with flat oil, lagging equities and off-the-charts COT participation, a bit of a witches brew had been bubbling just below the surface. Third was the observable reduction in net longs from the middle of February to the end of the month (about a 6 percent drop). Nothing too exceptional perhaps, but a harbinger of things to come. Last, the year-out contango (WTI term structure---comparable to the yield curve) was beginning to tell another story. While the contract was flirting with backwardation earlier in February, an increasing reversion to contango and a slight widening of the spreads across the entire crude futures complex, including Brent, were beginning to confirm a potentially bearish trend. So let’s do the scorecard. In terms of what has been discussed here, I count one bullish factor (the OPEC cuts, which are still reality) and four clearly evident bearish factors (overbullishness, inevitable contract liquidation, storage constraints and return of the contango.) 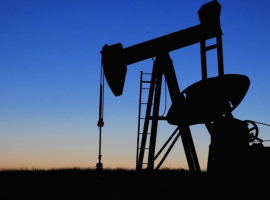 There are many other factors to consider, but the dramatic outcome in the crude oil market in the second week of March should perhaps have seemed more inevitable than the market gave it credit for at the time. Will Trump Send Oil Prices Crashing? What I have been saying all along, simple supply and demand. No matter how much OPEC agreement cuts others will produce to meet demand. Until there is a real shortage; meaning running low on earth's oil, which is not going to happen anywhere in the near future. Price will have to drop... back to the 20$ you go. OPEC is just used to not having competition and thinks it can manipulate prices and still turn a profit. All administered price increases (esp. during the bottom in seasonal demand), are inevitably deflationary, unless validated by monetary policy (as I predicted in Sept).